*Darcque, P. 1998. “Argos et la plaine argienne à l’époque mycénienne,” in Άργος και Αργολίδα: Τοπογραφία και πολεοδομία / Argos et l’Argolide: Topographie et urbanisme, A. Pariente and G. Touchais, eds. Paris: De Boccard, 103–115. *Foley, A. 1988. The Argolid, 800-600 B.C. : An Archaeological Survey. Göteborg: P. Åströms Förlag. +Hope Simpson, R. and O.T.P.K. Dickinson. 1979. A Gazetteer of Aegean Civilisation in the Bronze Age. Göteborg: P. Åströms Förlag. +Kophiniotis, I.K. 1892. Ιστορία του Άργους. Athens: Palamedes. *Koutsouveli-Nomikou, A. 1980. Contribution a l’étude quaternaire de la region d’Argos (nord est du Peloponnese, Grèce). Doctoral thesis, University of Aix, Marseille. *Lehmann, H. 1937. Argolis 1: Landeskunde der Ebene von Argos und ihrer Randgebeiete. Athens: Deutsches Archäologisches Institut. Müller, W. 1927. “Lyrkeia,” Realencyclopädie der classischen Altertumwissenschaft 13: 2498–2499. Papachristodoulou, I. 1970. “Λύρκεια–Λύρκειον,” Athens Annals of Archaeology 3: 117–120. *Pariente, A. and G. Touchais, eds. 1998. Άργος και Αργολίδα: Τοπογραφία και πολεοδομία / Argos et l’Argolide: Topographie et urbanisme. Athens: École française d’Athènes. Piérart, M. 1991. “Aspects de la transition en Argolide,” in La transizione dal Miceneo all’alto arcaismo, D. Musti, A. Sacconi, L. Rochhetti, M. Rocchi, E. Scafa, L. Portiello, and M.E. Giannotta, eds. Rome: Consiglio nazionale delle ricerche, 133–144. ———. 1997. “L’attitude d’Argos à l’égard des autres cites d’Argolide,” in The Polis as an Urban Centre and as a Political Community, M.H. Hansen, ed. Acts of the Copenhagen Polis Centre 4. Copenhagen: Munksgaard, 321–351. *———. 2005. “Argolis,” in An Inventory of Archaic and Classical Poleis, M.H. Hansen and T.H. Neilsen, eds. Oxford: Oxford University Press, 599–619. Pikoulas, G.A. 1990-1991b. “Κλίμαξ (Παυσ. viii 6, 4),” Ηόρος 8–9: 279–283. *———. 1995. Οδικό Δίκτυο καί Άμυνα. Άπο την Κόρινθο στο Άργος καί την Αρκαδία. Athens: Horos. Pritchett, W.K. 1980. Studies in Ancient Greek Topography. Part III. Roads. Berkeley: University of California Press. *Renaudin, L. 1923. “La nécropole «mycénienne» de Skhinokhori-Lyrkeia (? ),” Bulletin de correspondance hellénique 47: 190–240. *Tausend, K. 2006. Verkehrswege der Argolis: Rekonstruktion und historische Bedeutung. Stuttgart: Steiner. *Tomlinson, R.A. 1972. Argos and the Argolid: from the End of the Bronze Age to the Roman Occupation. Ithaca: Cornell University Press. *Zangger, E. 1993. The Geoarchaeology of the Argolid. Argolis 2. Berlin: Mann. Abadie-Reynal, C. 2007. La céramique romaine d’Argos (fin du IIe siècle avant J.-C. – fin du IVe siècle après J.-C.). Études péloponnésiennes 13. Athens: École française d’Athènes. Bearzot, C. and F. Landucci, eds. 2006. Argo: Una democrazia diversa. Milan: Vita e Pensiero. Bernardini, P.A., ed. 2004. La città di Argo: mito, storia, tradizioni poetiche. Rome: Edizioni dell’Ateneo. Courbin, P. 1974. Tombes géométriques d’Argos. Études péloponnésiennes 7. Paris: J. Vrin. *Études Argiennes. 1980. Bulletin de correspondance hellénique supplement 6. Athens: École française d’Athènes. Kelly, T. 1976. A History of Argos to 500 B.C. Minneapolis: University of Minnesota Press. Oikonomou-Laniado, A. 2003. Argos paléochrétienne: contribution à l’étude du Péloponnèse Byzantin. British Archaeological Report International Series 1173. Oxford: Archaeopress. *Piérart, M. 1992. Polydipsion Argos: Argos de la fin des palais mycéniens à la constitution de l’État classique. Athens: École française d’Athènes. *Piérart, M. and G. Touchais. 1996. Argos: une ville grecque de 6000 ans. Paris: Centre national de la recherche scientifique. Roux, G. 1961. L’Architecture de l’Argolide aux IVe et IIIe siècles avant J.-C. Paris: de Boccard. Sjöberg, B.L. 2004. Asine and the Argolid in the Late Helladic III Period: A Socio-Economic Study. British Archaeological Reports International Series 1225. Oxford: Archaeopress. de Polignac, F. 1995. Cults, Territory, and the Origins of the Greek City-State, trans. J. Lloyd. Chicago: University of Chicago Press. Hall, J.M. 1995. “How Argive was the ‘Argive’ Heraion? The Political and Cultic Geography of the Argive Plain, 900-400 B.C.,” American Journal of Archaeology 99: 577–613. ———. 1997. Ethnic Identity in Greek Antiquity. Cambridge: Cambridge University Press. Pfaff, C. 2003. The Argive Heraion I: The Architecture of the Classical Temple of Hera. Princeton: American School of Classical Studies. Alcock, S.E. 1991. “Urban Survey and the Polis of Phlius,” Hesperia 60: 421–463. Athanassopoulos, E. 2010. “Landscape Archaeology and the Medieval Countryside: Settlement and Abandonment in the Nemea Region,” International Journal of Historical Archaeology 14: 255–270. Casselmann, C., M. Fuchs, D. Ittameier, J. Maran, and G.A. Wagner. 2004. “Interdisziplinäre landschaftsarchäologische Forschungen im Becken von Phlious, 1998-2002,” Archäologischer Anzeiger 1: 1–58. Casselmann, C. 2010. Spuren des Menschen: Erkennen von Strukturen archäologischer Fundstreuungen. Landschaftsarchäologische Untersuchungen im Becken von Phlious 1. Bonn: Verlag Dr. Rudolf Habelt GmbH. Dabney, M.K. 1999. “Locating Mycenaean Cemeteries,” in Meletemata: Studies in Aegean Archaeology Presented to Malcolm H. Wiener as He Enters His 65th Year, P.P. Betancourt, V. Karageorghis, R. Laffineur, and W.-D. Niemeier, eds. Aegaeum 20. Liège: Université de Liège, 171–175. Fuchs, M. 2007. “An Assessment of Human versus Climatic Impacts on Holocene Soil Erosion in NE Peloponnese, Greece,” Quaternary Research 67: 349–356. Fuchs, M., A. Lang, and G.A. Wagner. 2004. “The History of Holocene Soil Erosion in the Phlious Basin, NE Peloponnese, Greece, Based on Optical Dating,” Holocene 14: 334–345. Wright, J,C., J.F. Cherry, J.L. Davis, E. Mantzourani, S.B. Sutton and R.F. Sutton Jr. 1990. “The Nemea Valley Archaeological Project: A Preliminary Report,” Hesperia 59: 579-659. *Marchand, J. 2009. “Kleonai, the Corinth-Argos Road, and the ‘Axis of History’,” Hesperia 78: 107–163. Pikoulas, G.A. 1990-1991a. “Πύργοι: Δίκτυο, χρήση, απορίες, καί ερωτήματα· Προσέγγιση με τα δεδομένα της Αργολίδος, Αρκαδίας, Λακωνίας,” Ηόρος 8–9: 247–257. *———. 2007. “Travelling by Land in Ancient Greece,” in Travel, Geography and Culture in Ancient Greece, Egypt and the Near East, C. Adams and J. Roy, eds. Oxford: Oxbow Books, 78–87. +———. 2012. Το Οδικό Δίκτυο της Λακωνικής. Athens: Horos. Ross, L. 1841. Reisen und Reiserouten durch Griechenland. Berlin: G. Reimer. *Sanders, G.D.R. and I.K. Whitbread. 1990. “Central Places and Major Roads in the Peloponnese,” Annual of the British School at Athens 85: 333–362. Alcock, S.E. . 1993. Graecia Capta: The Landscapes of Roman Greece. Cambridge: Cambridge University Press. *Alcock, S.E. and J.F. Cherry, eds. 2004. Side-by-Side Survey: Comparative Regional Studies in the Mediterranean World. Oxford: Oxbow Books. *Banning, E.B., A.L. Hawkins, and S.T. Stewart. 2011. “Sweep Widths and the Detection of Artifacts in Archaeological Survey,” Journal of Archaeological Science 38: 3447–3458. Bevan, A. and J. Conolly. 2013. Mediterranean Islands, Fragile Communities and Persistent Landscapes: Antikythera in Long-term Perspective. Cambridge: Cambridge University Press. Bintliff, J.L. 1977. Natural Environment and Human Settlement in Prehistoric Greece. British Archaeological Reports supplementary series 28. Oxford: British Archaeological Reports. *Caraher, W.R., D. Nakassis, and D.K. Pettegrew. 2006. “Siteless Survey and Intensive Data Collection in an Artifact-rich Environment: Case Studies from Eastern Corinthia, Greece,” Journal of Mediterranean Archaeology 19: 7–43. *Cherry, J.F. 1983. “Frogs Around the Pond: Perspectives on Current Archaeological Survey Projects in the Mediterranean Region,” in Archaeological Survey in the Mediterranean, D. Keller and D. Rupp, eds. British Archaeological Reports International Series 155. Oxford: British Archaeological Reports, 375–416. Jameson, M.H., C.N. Runnels, and T.H. van Andel. 1994. 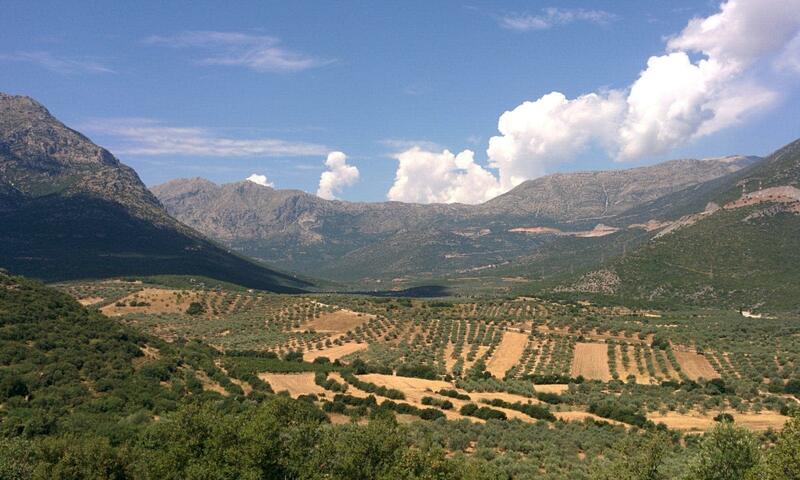 A Greek Countryside: The Southern Argolid from Prehistory to the Present Day. Stanford: Stanford University Press. Marchand, J. C. 2002. “A New Bronze Age Site in the Corinthia,” Hesperia 71: 119–148. Mee, C. and H.A. Forbes, eds. 1997. A Rough and Rocky Place: The Landscape and Settlement History of the Methana Peninsula, Greece. Liverpool: Liverpool University Press. Tartaron, T.F., T.E. Gregory, D.J. Pullen, J.S. Noller, R.M. Rothaus, J.L. Rife, L. Diacopoulos, R.L. Schon, W. Caraher, D. Pettegrew, and D. Nakassis. 2006. “The Eastern Korinthia Archaeological Survey: Integrated Methods for a Dynamic Landscape,” Hesperia 75: 453–523. van Andel, T.H., E. Zangger, and A. Demitrack. 1990. “Land Use and Soil Erosion in Prehistoric and Historical Greece,” Journal of Field Archaeology 17: 379–396. Wells, B. and C.N. Runnels, eds. 1996. The Berbati-Limnes Archaeological Survey, 1988-1990. Jonsered: P. Åströms Förlag. Whitelaw, T. 2012. “Collecting Cities: Some Problems and Prospects,” in Archaeological Survey and the City, P. Johnson and M. Millett, eds. Oxford: Oxbow Books, 70–106. Wright, J.C. 2004. “Comparative Settlement Patterns during the Bronze Age in the Northeastern Peloponnesos, Greece,” in Side-by-Side Survey: Comparative Regional Studies in the Mediterranean world, S.E. Alcock and J.F. Cherry, eds. Oxford: Oxbow Books, 114–131. Chrysanthopoulos, P. 1899. Απομνημονεύματα περί της Ελληνικής Επαναστάσεως, 2 vols. Athens: P.D. Sakellariou. Jansen, A.G. 2002. A Study of the Remains of Mycenaean Roads and Stations of Bronze-Age Greece. Queenston: The Edwin Mellen Press. Leake, W.M. 1846. Peloponnesiaca. London. Meyer, E. 1939. Peloponnesische Wanderungen: Reisen und Forschungen zur antiken und mittelalterlichen Topographie von Arkadien und Achaia. Zürich: M. Niehans. Moggi, M. 1976. I sinecismi interstatali greci: Introduzione, edizione critica, traduzione, comment e indici. Pisa: Marlin. Panagiotopoulos, V. 1985. Πληθυσμός και οικισμοί της Πελοποννήσου: 13ος-18ος αιώνας. Athens: Emporiki Trapeza tis Ellados. Papachatzis, N.D. 1963–1975. Παυσανίου Ελλάδος Περιήγησις, 4 vols. Athens: Ekdotiki Athinon. Pritchett, W. K. 1994. “The Alleged Battle of Oinoa,” in Essays in Greek History, 1-25. Amsterdam: J.C. Gieben.